← 3rd Annual Libertopia Art Contest! 15,000 Hits! 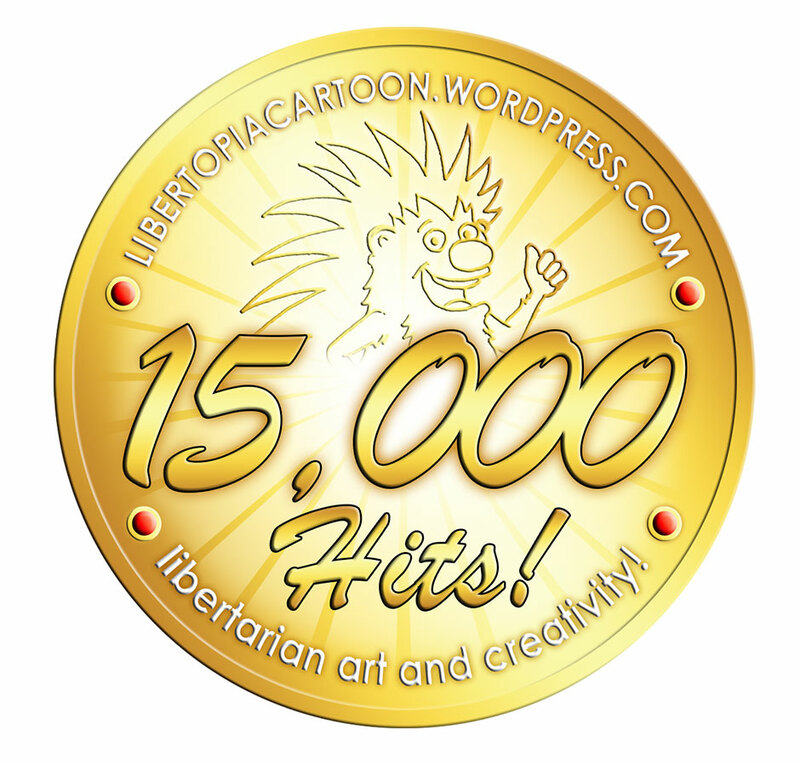 Since we started Libertopia Cartoons in December of 2014, we’ve continued to see a lot of growth over the past two and and a half years with the continued mission of being a hub for libertarian artists – as well as always delivering great liberty-themed artwork! We’re excited at how we’ve been able to help share libertarian and voluntaryist ideas through a number of creative ways, often through a visual medium that’s designed to reach out to a variety of audiences. So to celebrate this achievement, we thought we’d take a look at some of the great stuff we’ve been able to accomplish or be a part of over the past year! Recently Julie and I had a lot of fun appearing on the Actual Anarchy Podcast, where we talked about Ghostbusters from an anarcho-capitalist perspective. We also compared the original movie with the 2016 version. Check it out here! Our Infographic “When Government Does It” made big waves on social media with likes from Tom Woods and a share from Adam Kokesh. Don’t miss it! Check out our recent interview with the creator of the Voluntaryist Comic, as well as a great discussion on the free market with the owner of Libertarian Country. Our talk with activist Caryn Ann Harlos was a highlight as well! We had a lot of fun chatting with Bines online, and featuring his pro-liberty street art at Expressions of Liberty. Libertopia weighed in on the subject of government supported artwork at the following article: Hey Patreon, Not Every Artist Supports Theft! And in addition to our growing library of cartoons and infographics, we recently launched the official Libertopia Store with some really awesome libertarian products you won’t find anywhere else! Plus, don’t forget about our 60 page art ebook we released at Libertopia: Collection One! This entry was posted in Uncategorized and tagged 15000 hits, Actual Anarchy, Adam Kokesh, artist, Bines, caryn ann harlos, Ghostbusters, government supported artwork, Julie Wilder, Libertarian Art, libertarian country, libertarian creatives, libertarian products, Patreon, street art, theft, Tom Woods, visual medium, Voluntaryist, Voluntaryist Comic. Bookmark the permalink.